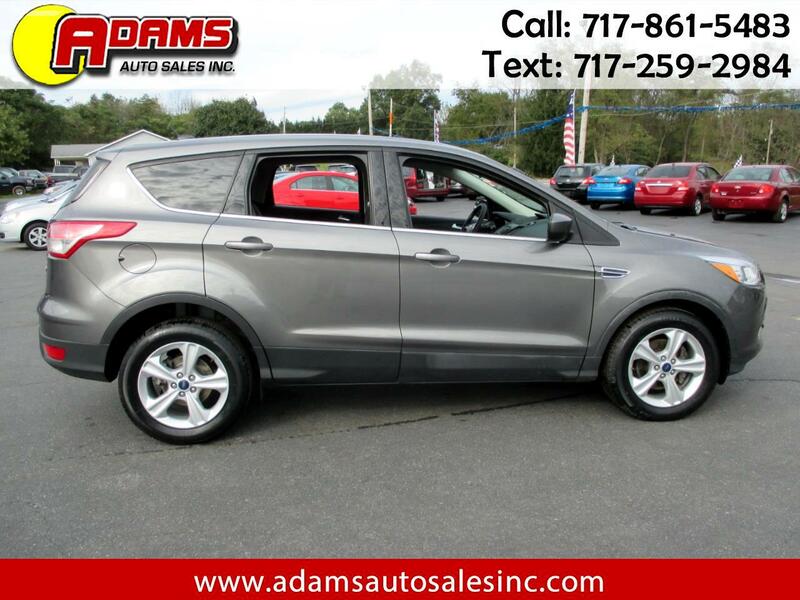 Used 2014 Ford Escape FWD 4dr SE for Sale in Lebanon PA 17046 Adams Auto Sales Inc.
***PRICE REDUCED AS $12,995.- NOW ONLY $11,995.-! *** This 2014 Ford Escape SE 2WD is a must see at only $12,995!!! It is equipped with a 4 cyl EcoBoost engine and an automatic transmission. It has power seat, rear spoiler and alloy wheels. It also has a backup camera and much more. The bray exterior and black interior are in great condition. Well maintained. It comes with a 3 month / 4,000 miles (whichever comes first) powertrain warranty. Ask a salesman for more details. Free Carfax report is still available. Brand new inspection and emissions, good thru October of 2019. Stop in and take it for a test drive. It comes with a 3 month / 4,000 miles (whichever comes first) powertrain warranty. Ask a salesman for more details.